Welcome to Beaver Walking Tours! Whether you’re new to Beaver Borough or a lifelong resident, Beaver Walking Tours will give you an intimate, inside look at our historic and charming little town. Beaver Walking Tours offers both walking and biking tours*, and can accommodate anywhere from one to 25 participants at a time. Tours are offered by appointment only, and usually last anywhere from one to two hours. During your tour, we’ll talk about Beaver’s rich history, from the days of the early settlers and Native Americans, through the town’s rapid growth in 19th century, and into the present time. You’ll get to see some of our town’s stunning architecture, much of which is from the Victorian era, and along the way I’ll even point out some of the amazing trees that have helped Beaver gain designation as a Tree City USA. 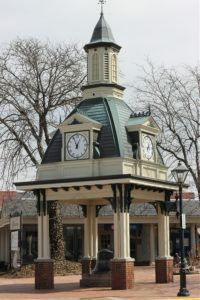 We’ll also stroll through Beaver’s downtown district and give you the skinny on all the best places to eat and shop. Tours are just $10/person** and begin and end at Cafe Kolache, at 402 Third Street. Are you a runner? Beaver Walking Tours also offers running tours to show you the best routes for your runs! We also offer walking/biking tours of our next door neighbor, Bridgewater. To schedule a private or group tour, contact me today at val@valthewriter.com, or 724-601-0919.